Turbo boost the growth of your hair with the all‐natural shampoo powered by Philippine Gugo, Korean Peapod and Aloe Vera! Enjoy our #1 best selling product! 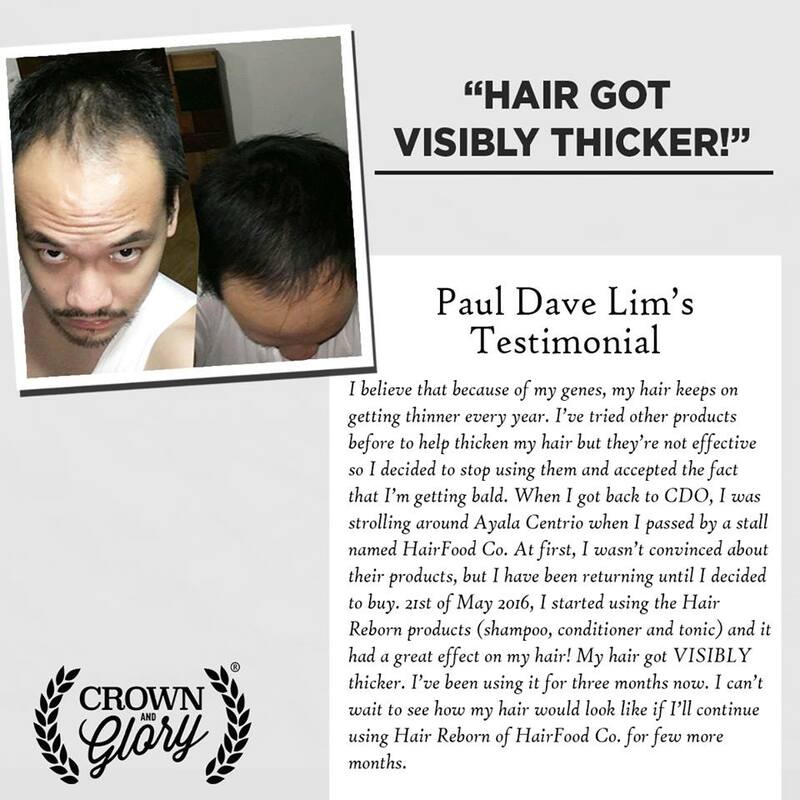 Crown & Glory Booster Shampoo is infused with a powerful blend of Tea Pods from South Korea, Philippine Gugo, Aloe Vera and Rosemary to stimulate hair follicles and increase the speed of hair growth. 🌿 PHILIPPINE GUGO: Abundant in the Philippines, it’s a natural ingredient discovered by the ancestors and proven by science to promote healthy hair and scalp. 🌿 ALOE VERA: It contains enzymes that directly encourage healthy hair. It eradicates dead skin cells that could be clogging the hair follicle, not allowing for the proper penetration of nutrients. 🌿 PLANT STEM CELL EXTRACT (KOREAN PEA PODS): Sourced from Korea, this extract revitalizes the scalp and activates the hair stem cell follicles to increase cell proliferation and boosts hair growth. 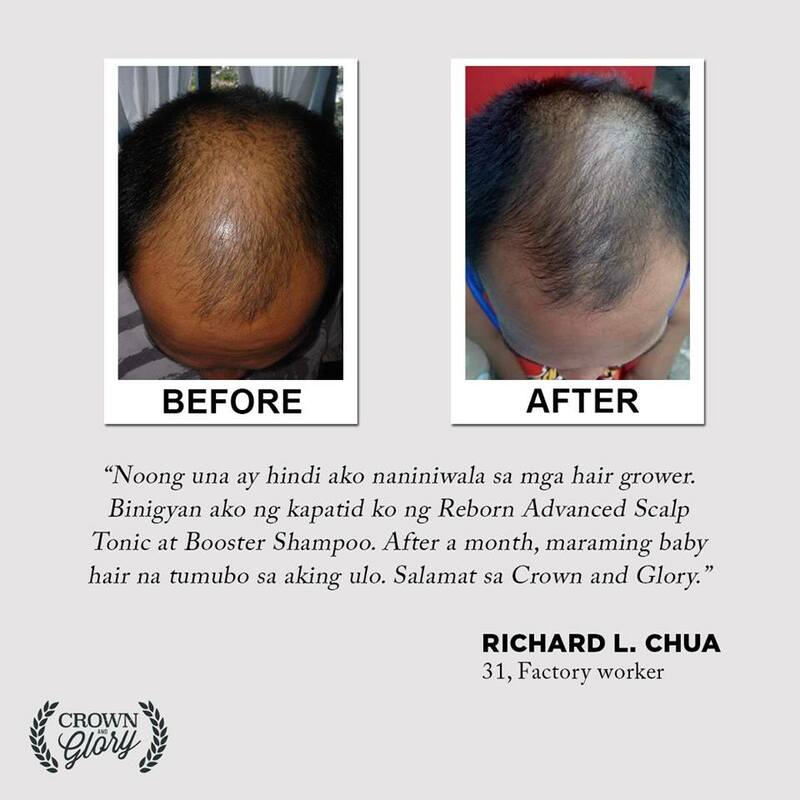 Crown and Glory Hair Reborn Advanced Scalp Tonic revitalizes hair follicles with its main complex ingredient clinically proven to help regrow hair after four months of use. 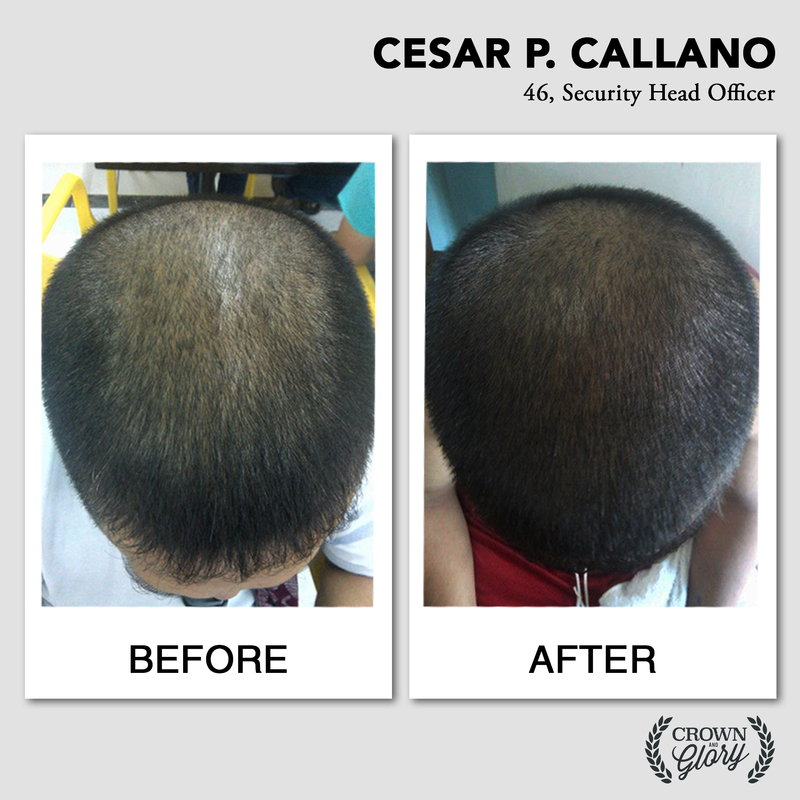 Others see improvements earlier on with their improved scalp condition, stronger hair and less hair fall. 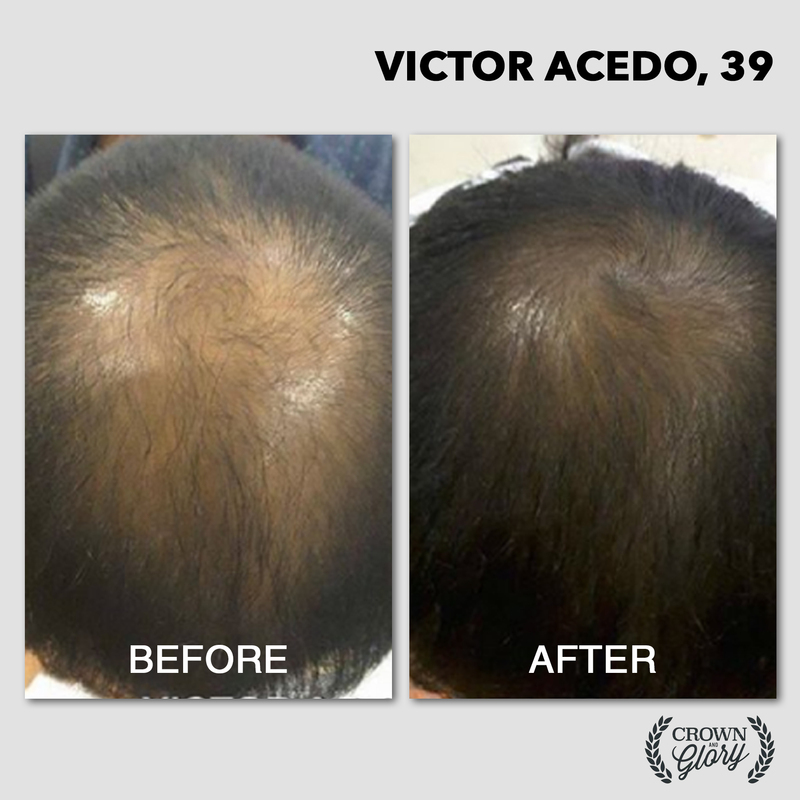 The Hair Reborn Advanced Scalp Tonic is an advanced solution that helps on solving hair loss by cell renewal and regeneration of hair follicles. It starts by reactivating the hair follicles to initiate a renewed hair cycle while providing the skin with premium scalp care ingredients.